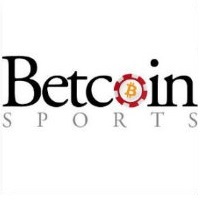 Betcoin Sports is the cryptocurrency sportsbook operating under the management of Betcoin.ag, the website that also runs Betcoin Casino and Betcoin Poker. It has been around for a few years already, and it shows in the kind of gambling services and customer support it offers. Being a Bitcoin sports betting site, it features a user-friendly interface that allows players to conveniently place bets. On the left side is the list of sporting activities covered by the sportsbook, and clicking on any of them will display the available matches. What is absolutely commendable about this website is it features over 10 sports, including soccer, ice hockey, tennis, basketball, and other action-packed sports. Under these main categories are the various minor and major leagues that take place locally and internationally. Betcoin Sports has definitely designed its sports betting interface in such a way to maximize the betting capabilities players truly enjoy. To complement the spot-on services offered here, bettors are also given the freedom to set the view and format of the odds. They can choose from European, American, and Asian for the View settings; Decimal, American, Fractional, Hong Kong, Indonesian, and Malay for the Format settings. Apart from pre-match betting, this Bitcoin sportsbook also offers live betting. Avid sports bettors are guaranteed of more excitement and entertainment through this feature. The scores and odds are updated seamlessly in real-time for a top-notch live betting experience. Meanwhile, when it comes to the banking aspects of gambling online, it becomes clear that this website takes on the features found on its sister Bitcoin gambling platforms. Like them, it also accepts Litecoin to enable players who prefer or can only deposit LTC to play using the altcoin. As with the case of Bitcoin, bettors should expect an overall smooth process that makes depositing and withdrawing BTC a breeze. In the rare event that there is nothing interesting to bet on, feel free to check out its Bitcoin casino and poker room. From the sportsbook interface, the computer-generated casino games and the live casino tables can be easily accessed with just a click. Expect to find the top favorite Bitcoin slots, roulette, blackjack, and other casino offerings that will seriously impact the sports betting activities in the best possible way. If you are tired of the usual games, see to it to enter the various Bitcoin poker tournaments that are hosted on the Winning Poker Network. Before anyone can begin playing on Betcoin Sports, however, interested gamblers must first sign up for an account. Registering for any of the Bitcoin gambling sites under Betcoin.ag will automatically entitle the players to access all three platforms. Overall, visually stimulating graphics may be missing on this website, but its services make up for this shortcoming. Betcoin Sports has a set of competitive services, and it is managed by a reputable online gambling company that believes in the power of cryptocurrency.